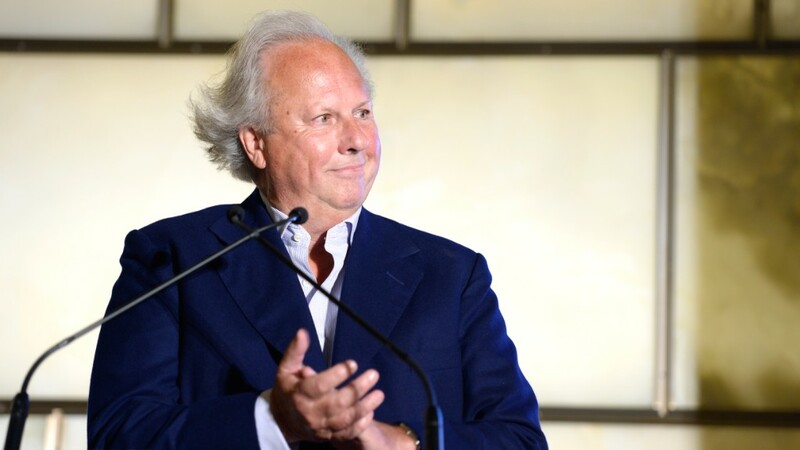 Graydon Carter, the longtime editor of Vanity Fair and a giant of the New York City media scene, said Thursday that he intends to step down from his post at the magazine. The news, which was broken by the New York Times, signals an end to Carter's 25-year run at Vanity Fair. Carter, 68, plans to resign in December. "I want to leave while the magazine is on top," Carter told the Times. In a statement sent out by the magazine, Carter said, "I've loved every moment of my time here and I've pretty much accomplished everything I've ever wanted to do. I'm now eager to try out this 'third act' thing that my contemporaries have been telling me about, and I figure I'd better get a jump on it." In an era of devastating newsroom cutbacks and dwindling advertising revenue, Carter is something of a relic, a carryover from an era when magazine sales were still booming and the print industry hadn't yet been upended by the internet. The Times on Thursday described him, accurately, as "a ringmaster of the glittery spheres of Hollywood, Washington and Manhattan media" and "one of the few remaining celebrity editors." Prior to his arrival at Vanity Fair in 1992, Carter left a mark at a pair of cult-favorite publications. In 1986, he co-founded Spy magazine, the punchy satirical rag that influenced a generation of adversarial journalists. He later became the top editor at the New York Observer, the once-beloved New York alternative newspaper. It was at Spy where Carter cultivated a rivalry that still simmers to this day. The magazine delighted in ridiculing Donald Trump, with Carter famously labeling him as a "short-fingered vulgarian." Trump has likewise never hidden his disdain for Carter. In 2012, Trump tweeted that he couldn't "wait for Vanity Fair to fold which, under Graydon Carter, will be sooner rather than later." And in December, then-president-elect Trump took to Twitter again to call out the magazine's "really poor numbers." "Way down, big trouble, dead!" Trump tweeted. "Graydon Carter, no talent, will be out!" Carter, for his part, hasn't backed down either. In his latest "editor's letter" published online this week, Carter said the verdict was already in on Trump's presidency. "His time in office, like so much of his life, will be deemed a corrupt, messy shambles," Carter wrote. Observers have long speculated that Adam Moss of New York magazine and Janice Min, who stepped down in February as The Hollywood Reporter's lead editor, would be potential successors.